Time for a pop quiz. 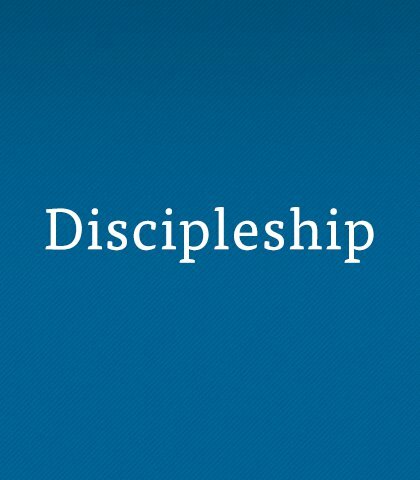 What is a disciple? Answer? None of the above. Surprised? Don’t be! Never has a word been so overused yet so misunderstood. Although the topic of discipleship has been overworked, it is an under-applied concept. We all have probably heard a lot about discipleship. But if the truth were known, most of us still are not discipling others or being discipled ourselves. Most of us are still spectators when it comes to ministry. That is not only unwise and unhealthy, it is unbiblical. Let’s focus our attention on what the Lord said in His Great Commission in Matthew 28:16–20. Let’s learn what it means to live as a true disciple. You may not have thought about it before, but Christians have a lot more in common with soldiers than we might think. Most of us don't consider ourselves leaders yet we influence others by who we are and what we do. From Nehemiah’s story we can learn how to become a person of positive influence. A mentor is someone you look up to, someone who teaches you, someone who keeps you accountable, and someone who advocates for you. Victory in the Christian life is no secret at all, yet many believe living as a victorious Christian is something mysterious or for the elite few.